Alpine resident and former Reuters photojournalist Luc Novovitch has been appointed to the vacant Brewster County Commissioners Pct. 1 seat by County Judge Eleazar Cano. The appointment comes after the recent resignation of George Johnson, who was tapped to fill the open seat, but resigned amid personal frustrations and a desire to return to private life. Johnson was appointed to the seat after longtime Commissioner Asa “Cookie” Stone resigned last fall. Johnson said he was appointed to the seat, not elected. If he had been elected, he said, he might feel differently and compelled to finish his term. “You have to pick your fights and try to do what’s right but I didn’t feel right fighting every single thing,” he said. According to the Avalanche, Johnson in his resignation letter recommended Brewster County Republican Chair Monica McBride as his replacement. Novovitch and his wife Barbara have been residents of the Big Bend region since 1998, but had visited the region several times before. 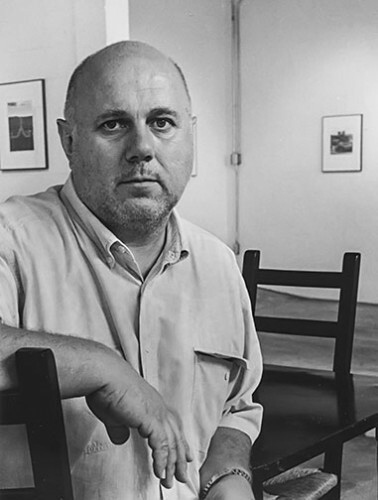 Luc Novovitch lived in New York and later moved to Washington, D.C., where he worked as a photojournalist for the Reuters news agency. He was originally born a French citizen in Casablanca, Morocco, and also spent time in Paris. In France, he studied Law and Political Science at the University of Lyon. Novovitch said his appreciations for American values motivated his decision to become a U.S. citizen in 2000, saying the same appreciation was behind his decision to pursue the open commissioner’s seat. “…I believe Democracy starts at the local level, where individuals can make a difference through public service,” he said in a statement. He said he’ll work to improve transportation to health care facilities outside the county to tackle that issue. This entry was posted in KRTS News and tagged alpine, big bend, Brewster County Commissioners Court, Brewster County Commissioners Court Resignations, Elected Officials, Luc Novovitch, politics. Bookmark the permalink.